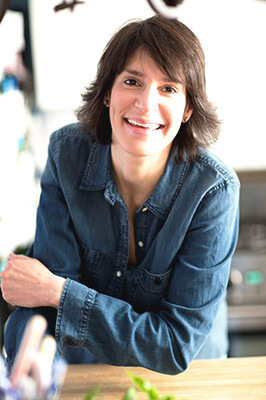 "This book is beautifully photographed and designed...For libraries that have a high demand for gluten-free cookbooks, this will be a fun and unexpected addition." "Dozens of mouth-watering full-color photos that will send readers running for the kitchen. This is a winner." "Even when she's telling you something you think you already know—like grow your own vegetables—Hunn adds an extra bit of information that takes the wisdom to another level." 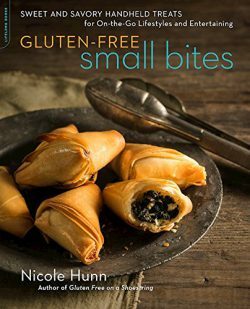 "No childhood favorites are off-limits with Gluten-Free Classic Snacks by author/blogger Nicole Hunn of Gluten-free on a Shoestring. Expect recipe riffs on Twinkies, Thin Mints, Nutter Butters, Pop Tarts and more in her ode to edible Americana." I started this blog, Gluten-Free on a Shoestring, in March 2009, after I was laid off from my job as a senior practicing lawyer in a large law firm in New York. Like many others laid off at the time, I chose a different path. I chose to hang out with you, cooking and baking, instead of lawyering. 1. Gluten-Free on a Shoestring: 125 Easy Recipes For Eating Well on the Cheap. This book is a great for beginners of all kinds and those who just want to keep it simple. It covers all the basics, from full meals to basic breads and snacks. 2. Gluten-Free on a Shoestring Quick & Easy: 100 Recipes For the Food You Love—Fast! The title says it all, quick and easy was the goal for all the recipes in this book. For everything from fast weeknight meals and weekday breakfasts that keep you going all day long, to breads and sides to round out those meals, and sweet desserts. Every recipe from “Quick and Easy” is ready in about 30 minutes. 3. Gluten-Free on a Shoestring Bakes Bread: Biscuits, Bagels, Buns, and More. My third book raised the bar on gluten free bread. We can now bake gluten free yeast bread that looks, tastes and smells like the artisan-style conventional breads we remember. You won’t believe it until you see it! 4. Gluten Free Classic Snacks: 100 Recipes for the Brand-Name Treats You Love. My fourth cookbook, this one is filled with recipes for homemade versions of all the packaged cookies, crackers, breakfast and fruity treats, snack cakes and even candy bars like Twix and Kit Kats you remember. But safely gluten free! I’m married with 3 children: girl-boy-girl. Our son, Jonathan, has celiac disease, but we all eat gluten-free at home because it’s easier. And because I eat gluten-free all the time. You gotta walk the walk if you’re gonna talk the talk, you know? When we learned in 2004 that Jonathan had to be gluten-free, we were lost. Few gluten-free foods were available, and what there was cost, like, a million dollars a cookie. All of the recipes I found were really fussy, with a million different unfamiliar ingredients. I started developing my own recipes right away, all with an all-purpose gluten-free flour blend. I wanted to feel normal again. Well, I thought you’d never get here. But you did. And I’m glad. Stick around, would you? We’ve got lots of catching up to do.